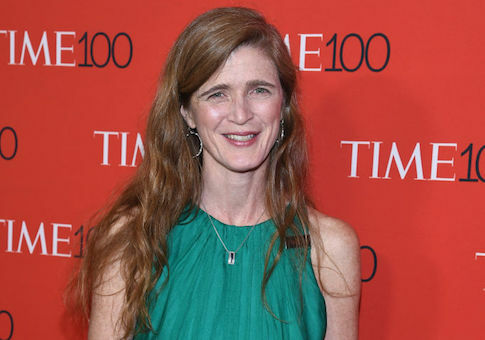 Former United Nations Ambassador Samantha Power is believed to have made "hundreds" of unmasking requests to identify individuals named in classified intelligence community reports related to Trump and his presidential transition team, according to multiple sources who said the behavior is unprecedented for an official in her position. Power is believed to be the anonymous official responsible for "hundreds of unmasking requests during the final year of the Obama administration," according to current and former U.S. officials who spoke to the Free Beacon about the ongoing investigation. Efforts by the former Obama administration to obtain the names of Trump allies included in raw intelligence reports have fueled speculation that subsequent leaks to the press were orchestrated by the former administration and its allies in a bid to damage the current White House and smear Trump's most senior confidantes. Nunes disclosed in his letter that the former Obama administration had "easy access" to sensitive classified information and that they may have used it to "achieve partisan political purposes, including the selective, anonymous leaking of such information." Congressional investigators uncovered that "one official [whose] position has no apparent intelligence-related function"—now believed to be Power—"made hundreds of unmasking requests during the final year of the Obama administration." "Of those requests, only one offered a justification that was not boilerplate and articulated why that specific official required the personal information for the performance of his or her official duties," according to Nunes. "Asking for an unmasking is rare at the [National Security Council] or the State Department. It is frankly shocking that anyone would be asking for dozens, and if there are really hundreds it is indefensible," said the former official. "It does make me wonder why [National Security Agency] didn't stop her [Power], by questioning this practice and getting the head of NSA to raise it with the president or the national security adviser." Lawmakers, including those on the Intelligence Committee and House Oversight Committee, also have expressed interest in speaking with former National Security Council member Ben Rhodes, the former administration official responsible for creating an in-house pro-Iran "echo chamber" to mislead the public and press about the terms of the landmark Iran nuclear deal. "The [intelligence] committee also understands that Obama-era officials sought the identification of Trump transition officials within intelligence reports," according to Nunes's letter. "However, there was no meaningful explanations offered by these officials as to why they needed or how the would use this U.S. personal information, and thus, the committee is left with the impression that these officials may have used this information for improper purposes, including the possibility of leaking." "More pointedly," the letter states, "some of the requests for unminimized U.S. person information were followed by anonymous leaks of those names to the media." Nunes's office would not comment on the matter. "The startling number of ‘unmaskings' of American citizens made by Obama administration officials has undermined confidence in our intelligence protocols and Chairman Nunes is right to seek new legislation," DeSantis told the Free Beacon Wednesday, referring to new legislation that would tighten the reins on unmasking efforts. "I applaud the committee's interest in scrutinizing the behavior of Obama-era officials like Samantha Power, Ben Rhodes, and Susan Rice," DeSantis said. "We need to know what they did with highly classified information." One veteran congressional adviser who has been briefed by senior Intelligence Committee members told the Free Beacon that the emergence of Power's role in these unmasking efforts could point to the improper use of this information, given her unrelated role at the U.N.
"The outrage about Obama officials spying on Americans, let alone on the Republican candidate and then incoming president, is both real and legitimate," said the source, who would only discuss the sensitive matter on background. "But there are still a lot of known unknowns, which could make things a lot worse." "The Obama folks may have made a deliberate decision to use Power, even though they knew it would risk giving away their unmasking campaigns, because she had no business making those requests," the source said. "What was so bad they had to use her for the requests, rather than someone who would have had a better excuse but may have balked?" This entry was posted in National Security and tagged Obama Administration, Samantha Power, Trump Administration. Bookmark the permalink.